This summer, Seymours set up a huge, positive movement of thanks that spread across Surrey. We ventured out into the streets and asked the public to send in videos and pictures which expressed their gratitude to their unsung heroes; be it their husbands, wives, friends, baristas or anyone who simply put a smile on their face. We asked them to nominate a local charity close to their hearts, with the aim of winning them £2000 from us at Seymours. The challenge? To gain the most likes and shares on a picture or video announcing their thanks. 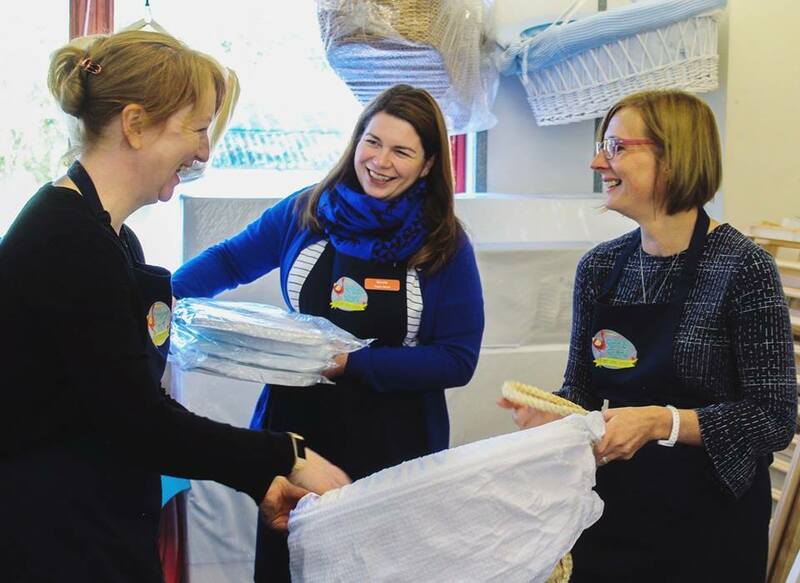 Our lovely #ThankYouSurrey winner was Nicola from Stripey Stork; a small, Surrey-based charity started by a group of mums who wanted to see the items their babies and children no longer needed re-used in the local community. They take donations of new and pre-loved toys, clothes and equipment for babies and children, and rehome them with local families who need a helping hand. Nicola’s video thanked Team Stork and their supporters for helping to transform the lives of local families experiencing hardship. She highlighted the importance of local communities coming together to help those in need, and her #ThankYouSurrey video resulted in a massive 466 reactions and 202 shares. We visited Nicola and the Stripey Stork team to present them with the £2000 and to find out where the money was going. Nicola informed us that the winnings were put towards new mattresses for families in Surrey who need them most. What a wonderful way to spend the money. Seymours are extremely happy to have helped this amazing charity and thank you to everyone who participated in our campaign. The campaign might be over but let’s not stop the gratitude there. Keep saying thank you to those that you appreciate every day - “Thank you” goes a long way. Watch Nicola’s #ThankYouSurrey video: https://bit.ly/2OmmTe2.